Geoscientists and engineers are finding new ways to bolster production in mature fields that have long been in decline. 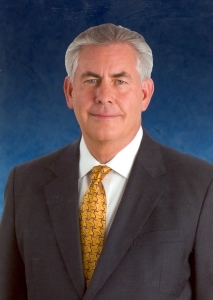 The importance of innovation and creativity in meeting global energy challenges is critical, says ExxonMobil Chairman Rex Tillerson. One of the many ways the company is applying those attributes to increase oil and gas supplies in the United States and elsewhere is by using advanced geoscience and engineering techniques to find more hydrocarbons in existing fields and bring that untapped energy to market. That can be a daunting task because most oil and gas reservoirs achieve peak daily output within a few years of first production. As fields mature, production declines. Depending upon a reservoir's geology and other factors, secondary or improved recovery techniques such as injecting water or natural gas into a reservoir may be used to retard or even reverse the decline. Water and gas injection can raise underground pressures and push oil through rock toward a producing well bore, increasing oil or gas recovery by up to three times what could be captured by the producing wells alone. Sometimes hydrocarbon resources lie untapped near the producing fields because it's not known they exist or because the technology isn't available to produce them economically. But ExxonMobil geoscientists and engineers are finding new ways to bolster production in mature fields that have long been in decline. "We've developed techniques that can rejuvenate a field after primary and secondary recovery efforts have done all they can to maintain output," says Jonathan Acton, manager of global geoscience co-ordination for ExxonMobil Production Company. "It's exciting to see a field's output rise significantly after it's been in production several years and is well past its prime." One such field is West Delta 30 (WD 30), formed by a large salt dome offshore Louisiana. Exxon discovered the field in the 1940s, and production began in 1955. "West Delta's production peaked in the 1970s at about 40,000 barrels of oil per day, along with associated natural gas," explains Production's Pete Hutt, offshore geoscience supervisor. "By the 1980s, the field was mature, and production declined steadily during the next 20 years. By 2000, production had fallen to about 10,000 barrels a day." But that would soon change. In 2001, ExxonMobil commissioned a new high-resolution 3D seismic survey of West Delta 30. This new information was processed using state-of-the-art technology developed under the direction of ExxonMobil's Upstream Research Company. When company geoscientists compared the updated information to older seismic data of the field, they identified several areas containing additional hydrocarbon-bearing rock. "Some of these were above our existing producing zones, and some comprised reservoirs that we never knew existed," says Hutt. "That's because the older seismic technology wasn't nearly as sophisticated as what we have today. With 3D seismic, we can understand the detailed geology much better than before. And that translates to opportunities to drill new wells to bolster production in mature fields." Guided by such new geologic information, ExxonMobil geoscientists and engineers developed plans for six new production wells in WD 30, targeting gas sands below the previously produced oil reservoirs. Drilling took place between 2002 and 2006 and caused a dramatic increase in daily production, which rose to nearly 25,000 oil-equivalent barrels from the previous level of 10,000 barrels. The introduction of this new gas production at a mature oil field also required significant improvements to the associated facilities. "The WD 30 'E' platform was installed in 1952, and we more than doubled its gas dehydration capacity and added new separation, pipelines and metering stations," says Scott Allman, projects technical advisor for ExxonMobil Production. "There were challenges integrating these new components into the older infrastructure, but our facilities-engineering and structural-integrity experts helped us design and complete a successful project." "It was a team effort," adds Hutt, "involving expertise from geology to engineering to drilling to operations. That cooperation enabled us to give new life to a field that was in serious production decline." The Enang Field offshore Nigeria is an ExxonMobil affiliate-operated joint venture with the Nigerian National Petroleum Corporation. The field was discovered by Mobil in 1968, and oil production began in 1974. Output peaked in 1978 at 40,000 barrels a day. By year-end 2006, production had declined to 20,000 barrels a day. "Geologically, Enang is a complex field," says Roger Head, geoscience project manager for Mobil Producing Nigeria. "We reprocessed our 3D seismic data to better understand the geology. We believed there were drilling opportunities in the field that we had not yet identified, so the technical team began a detailed integrated study of the field." Andrew Ejayeriese, geoscience supervisor in charge of the Enang Field, and his colleagues worked with scientists at ExxonMobil Upstream Research Company. Using a rigorous process called Reservoir Connectivity Analysis (RCA), company geologists and engineers were able to understand how and why the Enang Field behaves as it does. A multifunctional team in Nigeria and Houston worked together to identify opportunities for new drilling and for optimisation of existing wells. "Based on the RCA study, we drilled five new wells beginning in early 2007, increasing production to 34,000 barrels per day, which is 14,000 barrels greater than what the field had been producing. We're quite pleased with these results and plan to drill more wells," says Ejayeriese. The Gippsland Basin, in the Bass Strait offshore southeast Australia, is a long-established oil and gas production area. In 1967, Esso Australia discovered the Halibut Field in Bass Strait. Production began in 1970, and daily output peaked the following year at about 200,000 barrels. This field has world-class reservoir sand with a recovery factor of 83 per cent. However, after delivering more than 850 million barrels of oil, by late 2006 production had declined to 4500 barrels per day. Using new tools such as improved seismic data recording, processing and analysis, as well as technology that has enhanced drilling reach and accuracy, Esso Australia geoscientists and engineers developed plans to recover previously untapped reserves. "In 2007, we've drilled six new production wells at Halibut," says Adem Djakic, Esso Australia's production project manager for Gippsland geoscience. "With these wells, we've significantly increased production. Soon after drilling was completed, output reached 20,000 barrels a day, more than a fourfold increase from the prior level. Since then, as we anticipated from our analysis, production has settled at a new base of nearly 8700barrels per day. "It's an approach that has allowed us to identify new targets within reach of many of our existing Bass Strait platforms and also to go back over older areas to identify and extract more oil and gas. As a result, we have extended the life of Australia's largest and oldest offshore oil fields to beyond 2020. All in all, that's a lot of value added." Today, ExxonMobil's efforts to extend the life of mature production fields in the United States, Africa, Australia and at other worldwide locations is more important than ever as energy demand continues to grow.